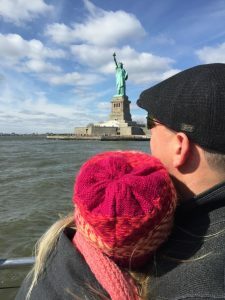 The Statue of Liberty | Custom & Private New York Tours, Inc.
Viewed from the Manhattan shoreline; the ferry round trip with usual lines takes upwards of three hours. See our second attachment for further detains. Enjoy a presentation of the history, art, construction and folklore of “the lady”. This iconic reminder of freedom from despotism and tyranny is a lasting symbol of what this nation stands for and wishes for all people of the world. “Give me your tired your poor . . .” The Statue came with instructions, just like Christmas morning; “Assembly Required”!